What are the best Radical Heights tips? 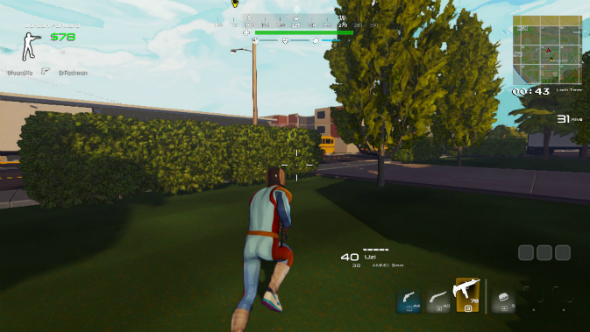 Another day, another battle royale game, but Boss Key might just be onto something with their ‘X-TREME Early Access’, Running-Man-inspired take on the genre. However, like its peers, Radical Heights is pretty tough to win, which is why we have taken to the thunderdome in search of Radical Heights tips to impart to you. Hungry for more? Check out these top battle royale games. 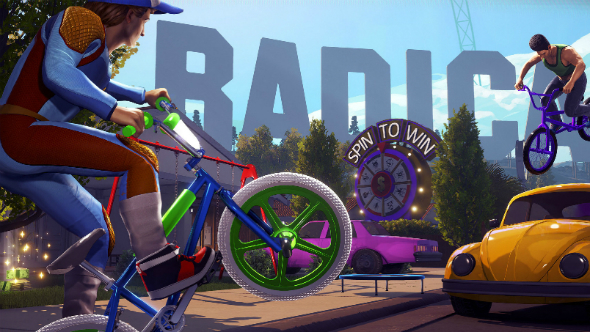 Our Radical Heights tips will take you through the basics of the game before going into some more advanced tricks, like the best Radical Heights loot spots, how to earn cash, BMX handling 101, and what each of the the game show gimmicks does. Here are our Radical Heights tips to help you earn your first win. In case you have been hiding under a rock for the past year, battle royale games involve 100 players dropping into a map with nothing but the clothes on their back, scrabbling together the best gear they can find, and battling until only one player is left standing. Forcing that inevitability is a shrinking play zone that closes in every few minutes and deals constant damage to anyone caught outside of it. If you have already invested a number of hours in either PUBG or Fortnite then a number of the same strategies will also apply here. For example, you’ll want to stay on the move for most of the game, you shouldn’t engage with an enemy unless you are certain of victory, and patience is more valuable than good aim. But Radical Heights changes plenty about that formula as well, so here are our best Radical Heights tips. 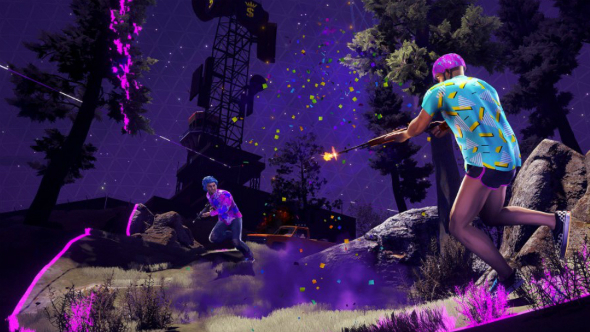 One of the most significant differences between Radical Heights and battle royale games like PUBG is its persistent cash economy. In every match you will earn money that can be used to buy gear and weapons from RH Gear and TOP GUNZ kiosks around the map. You can also bank Radical Heights cash at ATMs for use in later matches or to buy cosmetics in the shop. So how do you earn cash in Radical Heights? You will find money in the form of collectables scattered around the world – these are items like cassette players, TVs, and Radical-Heights-themed board games. Stacks of cash will also drop from some prize boxes and upon completing one of the Radical Heights game show events. You can also kill players and steal a portion of whatever cash they were carrying. Finally, any in-game objects with a dollar sign floating above it can be punched or shot to reveal a wad of bills. When you die, you will drop a small portion of the cash you had, but a large chunk of it will be placed into your Offshore Bank. In the next match you can find an ATM and withdraw money from this persistent account, letting you access high-level gear from the very start of a match. Be warned: withdrawing money at the start of a match is extremely risky as the time it takes you to find an ATM, make a significant withdrawal, and purchase some gear is much longer than it takes another player to find a basic gun and kill you. Higher rarity equates to higher damage, but Radical Heights weapons also come with pre-equipped attachments like scopes, extended magazines, and silencers – with more of these cropping up as you near the legendary rarity bands. Packs a moderate punch, but getting a kill with this revolver before having to reload requires laser aim. You will need to land a lot of hits with this pistol in order to drop an enemy, but it comes with a huge clip and very little recoil. A solid panic weapon in the early game, the PPK is hindered by abysmal stopping power and rate of fire. A large magazine and the best accuracy and control of any pistol in the game don’t quite make up for its meagre damage. .45 ammo ensure this semi-automatic pistol deals respectable damage, but a clip size of seven can be tricky to work with. Serviceable in lower rarity tiers, the Uzi really comes into its own in its legendary form, which you can find in TOP GUNZ kiosks with surprising ease and without having to spend very much money. 9mm rounds don’t do much damage, but this SMG is so easy to control you will land every hit. Slow firing but very lethal thanks to its .45 ammo, this rudimentary SMG is great for close encounters until the latter stages of a game where most contestants will have acquired high-level armour and helmets. More of a machine pistol than an SMG, the Hi-Tec is a decent spray-and-pray weapon for close-quarters battles, but is hard to control over long distances. Average across the board, this shortened assault rifle is a great weapon for the early game, but falls short later on where only the very best weapons for damage and accuracy will suffice. Solid early game shotgun for clearing out buildings, but damage up close is its only worthwhile asset. Almost indistinguishable from the Stakeout 37, the S1887 is also a solid pick for close encounters. 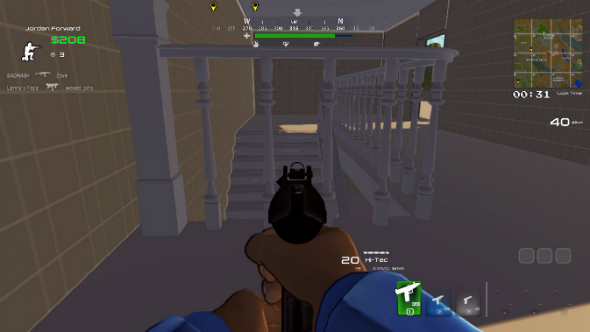 The rarest and most expensive Radical Heights shotgun, the SPAS 12 marries extremely high damage with a fast rate of fire. This semi-automatic assault rifle ticks all the boxes for mid-range engagements: it will drop an unarmoured foe with a few shots and is very accurate if you exercise a little trigger discipline. It underperforms up close though, which is where the bulk of skirmishes play out in Radical Heights. Fully-automatic, high damage, and easy to control – what’s not to love about the AUG A1? The legendary copy of this gun is arguably the best weapon in the game so get saving to buy it from a TOP GUNZ machine. More accurate and damaging than the M16 A1, but even worse up close, the M14 is best used as a DMR. The only Radical Heights sniper rifle, the Dragunov can down even well-armoured enemies in two or three shots. It also comes equipped with a high-magnification scope, which makes it great for spotting enemies. Very rare, but very deadly, the Radical Heights Rocket Launcher lets you bombard enemies with four rockets in quick succession before having to reload. REX: remote control bombs that deal heaps of damage. Frag Grenade: tricky physics make these explosive projectiles hard to rely on. Inflatable Decoy: this static distraction can make a huge difference in the final zone. Trampoline: a less dramatic version of Fortnite’s Launch Pad – great for scaling buildings. Confetti Bomb: blinds anyone caught in its radius with confetti, largely useless. Smoke Grenade: the smoke cover offered by this projectile is pitiful. Avoid. Medkit: heals a large chunk of health, but takes several seconds to use. Bandages: heals a small portion of health – takes a couple of seconds to use. Cheeseburgers: heals over time and grants a temporary speed boost. Supply Line: calls in a prize box to your location. Noisemaker: emits a noise for districting enemies. 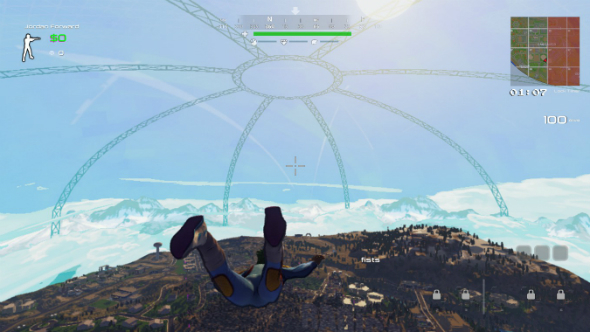 There is no parachute phase in Radical Heights so dropping into the map is much simpler. The flipside of that is that you get a bit less freedom over how far you can travel while in freefall. In many cases, the best tactic for dropping in is to aim straight down or towards the nearest building. 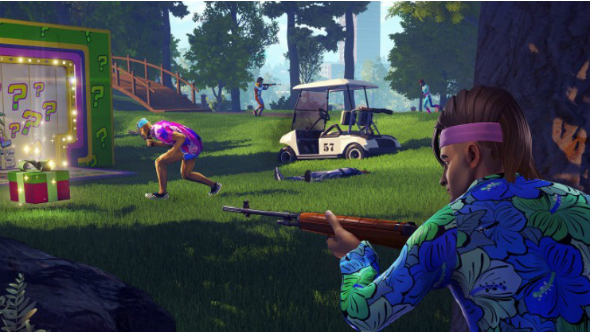 Loot can be scarce in Radical Heights so grabbing a gun as fast as possible is a priority. The map also starts off with lots of grids already unplayable, these will unlock shortly after landing and are in place to break players up a bit – get ready to loot these untouched buildings. Weapons also drop from Mystery Door booths and prize boxes, both of which can be found all over the map. Prize boxes are purple and green gift boxes that you open with the E key. Mystery Door booths require you to stand on a platform for a few seconds while loud music plays, alerting nearby players to your presence – you cannot miss these large green containers. In terms of Radical Heights loot spots, there are a few building types that guarantee at least a weapon, if not enough cash to buy one at the nearest TOP GUNZ kiosk. Landing in rural areas around the outskirts of the map is a huge risk as the cabins you’ll find dotted around can be a trek to get to and contain very little in the way of guns. You might luck out, sure, but you might also spend five minutes running around with only a Confetti Bomb to your name. These large greyboxed buildings can be found all over the map. Try to land on the roof and work your way down the building – you can always dive out of a window to safety if you are higher up. Don’t expect to find anything brilliant in these buildings, but if all you want in the early game is an SMG or shotgun then these structures are ideal. Owing to their size, these can be popular drop points, so loot quick and get out of there. 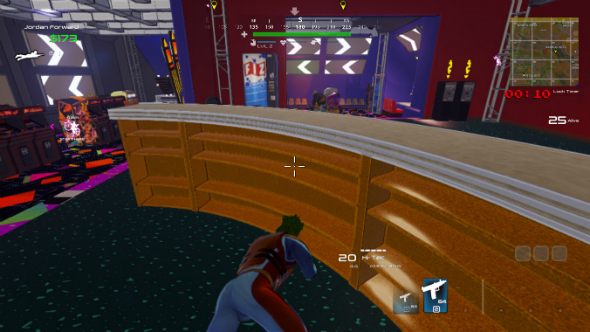 Less reliable for finding weapons, arcades in Radical Heights instead contain stacks of cash and a few gear vending machines. Most arcades are very close to gas stations, so if nothing in the RH Gear or TOP GUNZ machines strikes your fancy you can try your luck elsewhere without wasting much time. Thanks to their gaudy interiors and booths, arcades are also easy to hide in, so you can set up an ambush and catch other eager looters off guard. There are a few hidden bunkers dotted around the Radical Heights map that contain good loot or cash prizes. You can find one below the Radical sign in Radical Hills and another one below the snow-capped mountains of The Kodiak area. Once inside, you will want to look for the Mystery Door challenges and any prize boxes laying around. Few players know about these so if you race towards one you can expect to ransack in peace. There are loads of cul-de-sacs dotted around the urban and residential areas of the map and while you will not find much loot lying there, they do all have an ATM and four vending machines. Thanks to all the bright green foliage and ring of tarmac, you can also spot these from great distances. 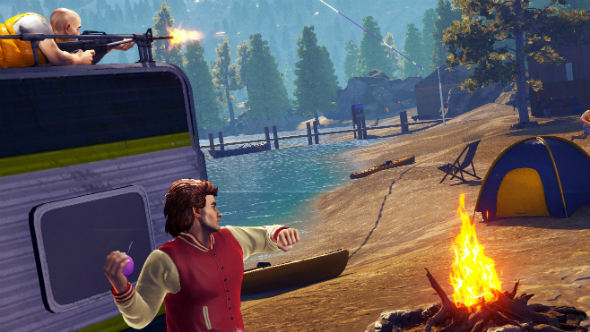 One of the most significant changes that Radical Heights brings to the battle royale genre is a grid-locking system for restricting the play zone. Instead of a circle that steadily shrinks every couple of minutes, you have grid squares that lock out in random patterns. 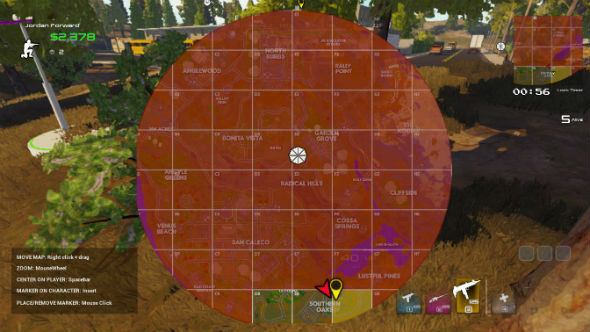 Once the play zone has shrunk a few times – creating all manner of weird and wonderful shapes on the map overview – a final circle will randomly appear on the map that you will have a few minutes to reach. This final circle works just like it does in the dying moments of a PUBG or Fortnite match, but it is worth noting that the final circle is very brightly lit, so try to stay hidden in foliage and keep movement to a minimum. BMX race: a race icon will appear on your HUD shortly after dropping that indicates the starting point of this event. All you need to do is get on the special BMX and ride to the finish line. Expect hefty rewards for managing this, like being instantly equipped with the best helmet and armour in the game. Cash zones: when these appear, open up your map and look for the dollar signs that tell you where these areas are. Grab a BMX and race here to enjoy a shower of money that gives you $50 every second. Spin to Win: this event will occur a couple of times towards the end of the match. These work just like supply crates in PUBG and Fortnite. If you manage to get to one of these before anyone else, simply hit E to stop the wheel and grab the loot that drops. Hit F and you will perform a heroic diving roll in the direction you are moving. This is a great way to duck out of gun battles and aggressively push on opponents mid-battle. Thanks to the very basic state of the game’s graphics, foliage like bushes can totally obscure your character model. Use this stealthy tip to stay hidden when the play zone forces you to play across open ground. 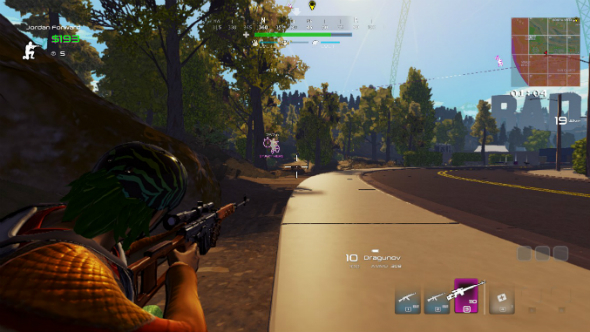 Radical Heights boasts a very short time to kill – even basic guns will kill an unarmoured player in a few shots – which means it is much more valuable to kit yourself out with top-tier armour than a gold AUG A1. Rare weapons are easy to find, so save your cash for any RH Gear machines packing legendary helmets or armour. As they are virtually silent and have a small profile, BMXs are a great way to cover large distances without attracting too much attention. 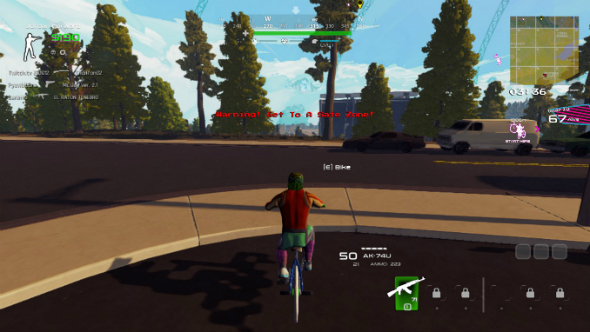 However, the physics in Radical Heights can make riding a BMX very treacherous, with even tiny collisions flinging you and your steed off into the sunset. Likewise, take care when turning and sprinting: the combination of the two tends to send you spiralling out of control. And whatever you do, never sprint, turn, and collide with something at the same time. Third-person cameras let you spot enemies from behind cover without them being able to spot you. This is no doubt a tactic that many Fortnite players will be familiar with, but ambushes are especially effective in Radical Heights thanks to the high density of buildings across the map. Radical Heights can be very harsh with loot and often the best way to expand your inventory or get new gear is to take it from another player. Vital items like gear and weapon slots are very hard to come by, so if you don’t find any during your initial foraging, go aggro in the hopes of one dropping from an enemy. Winning a match with only one or two weapons and single gear slot is virtually impossible, so it pays to take a few risks. It pays to take the higher ground in Radical Heights, not just because you get a great view of your surroundings, but also because the lack of fall damage means you can quickly escape if you come under fire. Bear this in mind before attacking a player who is camping atop a multi-storey car park or apartment building. That’s all the Radical Heights advice we have for you. Got a top tip you’d like to share? Jot it down in the comments section below.